Circuit boards are designed to tinker with electricity using everyday objects and components. Batteries, lights, buzzers, motors, resistors, potentiometers, switches, are but a few of the types of electrical gizmos that can be hooked together with simple alligator clips. By approaching circuit-building with familiar components and direct connections the barrier to trying things out is lowered, and surprising moments of insights are encouraged. 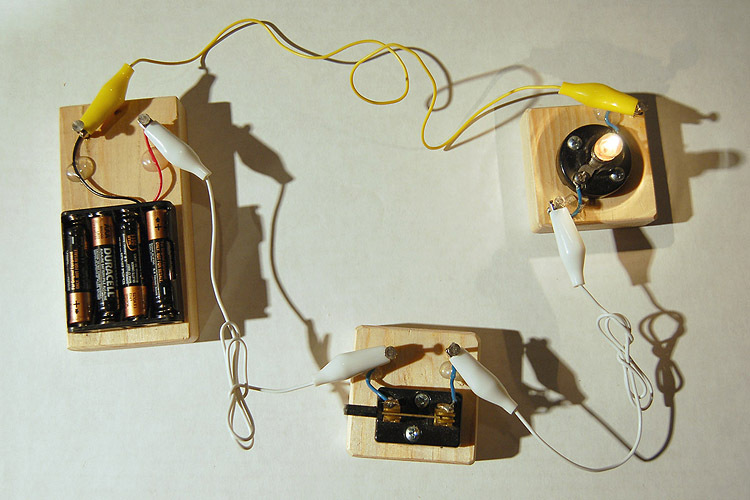 A typical exploration begins with the simplest of circuits being completed: a battery makes a light bulb turn on. This deceptively simple connection sparks a delighted and engaged response; for many this is the first time tangibly understanding a concept they might just have read about in a book or heard in science class. Then a flurry of activity often follows, in which rules are tested and broken, a messy tangle of wires and connections is built or unraveled, and various combinations of inputs and outputs are tried. Eventually new challenges might emerge: how to introduce a switch into the circuit, or tinkering with variable resistance. 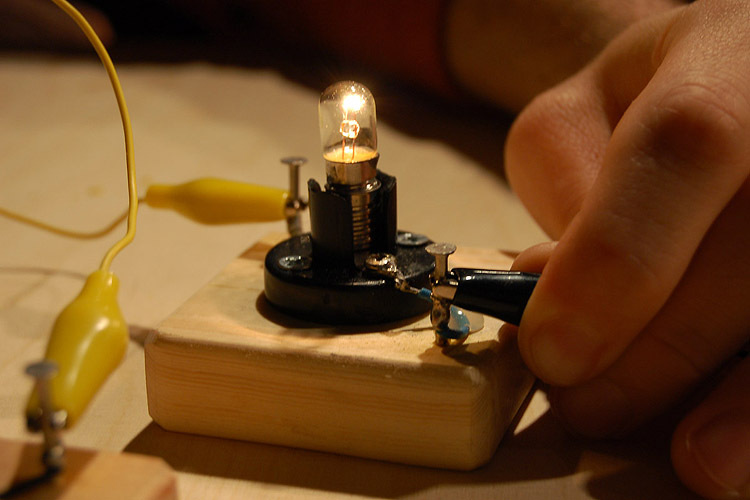 From the simplest of circuit basic rules about circuit building emerge, and each successful circuit completion is a step toward more complex connections. 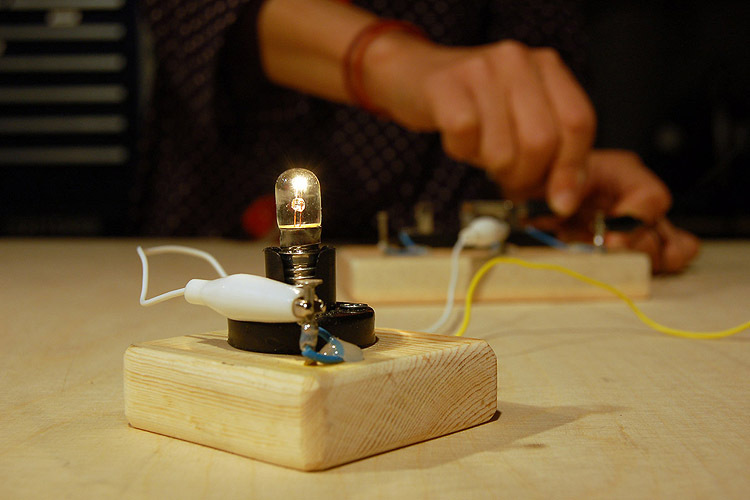 The same concepts that participants learn while tinkering with circuit boards can be helpful in understanding the world around us, from how the light switch in your home works, to how to wire a lamp or repurpose a toy. Although everyone is exploring similar scientific concepts, the experiments vary widely because of all the possible ways of changing the variables. Variables include the inputs (voltage, number of batteries), outputs (lights, buzzers, motors, etc. ), resistors, and switches; there are many ways of connecting the same components together (series, parallel, even shorting out! ), as well as many different final products.